U.S. and Israeli officers broke ground on a new U.S. Army base Monday. its purpose is to identify and intercept aerial threats. 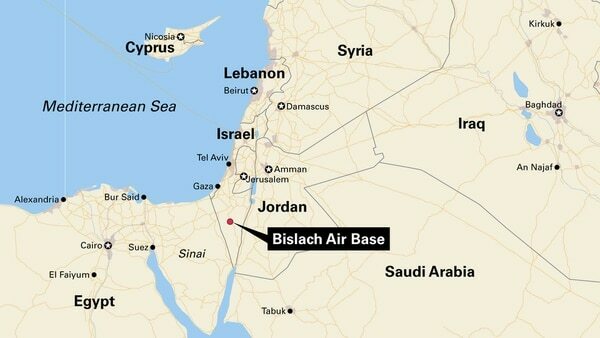 The American base, officers in Israel say, will be an independent facility co-located at the Israel Defense Forces Air Defense School in southern Israel, near the desert capital of Beersheba. Once completed, the base will house U.S. operational systems to identify and intercept a spectrum of aerial threats, along with barracks, recreational and other facilities required to support several dozen American air defenders. “A few dozens of soldiers of our American allies will be stationed here permanently. They are part of an American task force that will be stationed here,” said Israeli Air Force Brig. Gen. Zvika Haimovich, the IDF‘s air defense commander. Maj. Gen. John Gronski, deputy commanding general of the Army National Guard in U.S. Army Europe, led the U.S. delegation participating in Sept. 18 ceremonies. The United States is to create a new permanent base in Israel, something the U.S. Army National Guard's deputy commanding general says "signifies the strong bond" between the U.S. and Israel. "We’ll have Israeli airmen, U.S. soldiers living and working side-by-side," Maj. Gen. John L. Gronski said. (Israel Defense Forces) Correction: A previous version of this video misidentified the force Gronski helps command. He is with the U.S. Army National Guard. Referring to the site as Site 883 Life Support Area, Gronski said the planned base “signifies the strong bond” that exists between the United States and Israel. While the new U.S. base marks the first to be co-located within an Israeli base and the first in which active interceptors are to be deployed, the U.S. military has operated an independent facility for nearly a decade in the same general area of Israel’s Negev desert. That facility — which is operated only by Americans without an Israeli presence — houses the U.S. AN/TPY-2, an X-Band radar that is integrated with Israeli search and track radars to augment early warning in the event of ballistic missile attack from Iran. The U.S. and Israel have broken ground on a joint military base in southern Israel. He also noted that in recent weeks, the IDFs Air Defense Command stood up a new Iron Dome battalion to enable the Jewish state to more equitably deploy active defenses along its northern as well as southern borders, where Israel faces growing threats from Lebanon and Gaza, respectively. One of Israel’s operational Iron Dome systems is now in the U.S., where it is competing with U.S.-proposed systems for an interim — and possibly longer-term — solution to the medium- and short-range air defense requirement.